Create A Custom Item with Alpi! ALPI, the home of Squeezies® stress relievers! We create hundreds of unique and original designs to fulfill our clients needs. In addition to customized stress relievers, we can also personalize our Floater and Fancy That style pens. Alpi is now offering custom Chill Patches and Gel Beads. A great alternative to our custom Squeezies®, these cold packs have no setup or mold charges. Full color designs are available. 60 day turn around after final proof approval. 9 standard fill colors available. 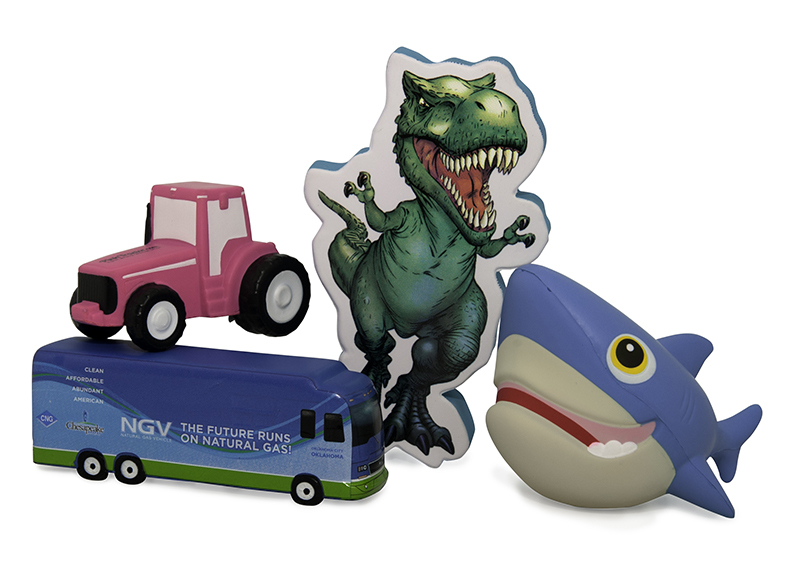 Beautiful and functional, contact us to find out how these items can be the focus of your promotional pitch. Custom Squeezies® come in two variations that match most budgets. 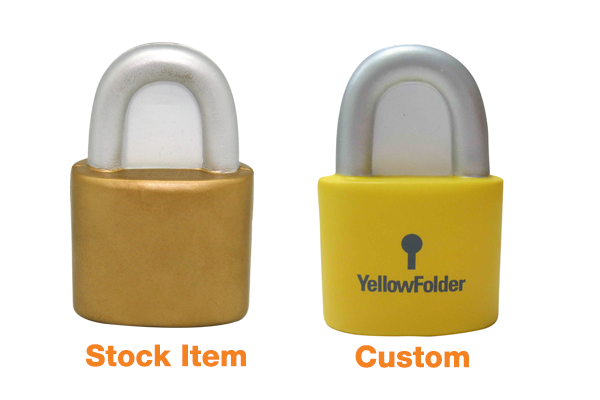 One way is to use our existing stock shape, which you can alter the color scheme and give it a customize look that is tailored to your clients needs. A second way is to create a completely custom Squeezie all we need is client-supplied art to get the project going. Listed below is the process for creating a custom stress reliever, the process for pens is quite similar. In about 15 weeks you can have your own custom Squeezie. 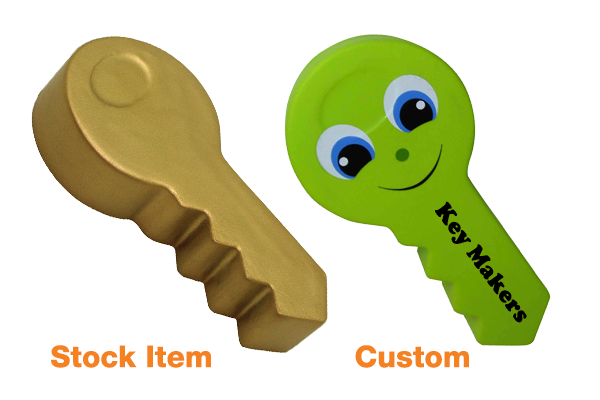 We have successfully produced hundreds of custom stress relievers. The process is remarkably simple. 1) Send us clear pictures or drawings of your idea for visual reference and we will generate a quote based off the images provided to us. 2) Upon acceptance of the quote and order submission we will create a three- dimensional wax sculpture for your approval via email. This is the stage for changes in size, shape, and detail. If there are no changes we move on to the next step. If changes are required, we will make the necessary adjustments until it’s satisfactory for your approval. The number and complexity of changes will affect production schedule. 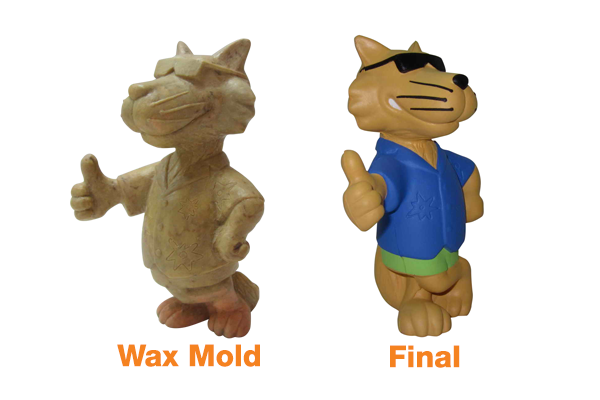 3) Upon approval of the wax sculpture, we will begin to move forward with producing a polyurethane sample which will represent the final finish product including all color(s), design and logo(s). 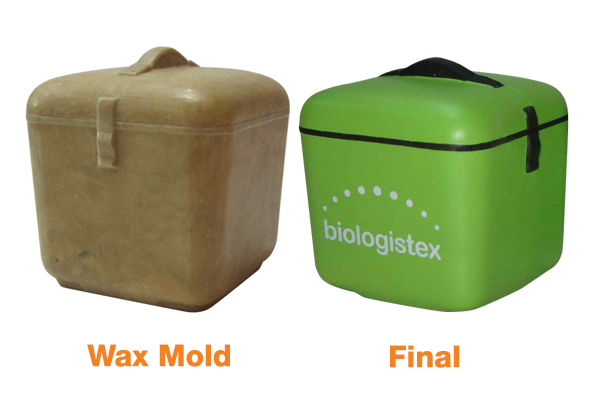 4) After the final approval of the sample, full production takes 30 days to complete your order. 5) Choose a shipping method. Air freight takes approximately 1 week at an additional cost. Sea freight takes 30 days to arrive here in Oakland, California. The shipping method you choose will affect delivery time. All custom orders produced overseas require a pre-production sample, cost $250/v, including freight charges. Delivery time, pricing, and tooling charges vary on complexity of item. ALPI is your #1 source for custom stress relievers. Call us first for all pricing and details!